‘Blind spots and preoccupation’ is the leading theme of our seminar of today. As a basic phenomenon in historiography, it is applicable to nearly every subject, but it springs to the eye more so when one touches upon controversial matters. As such, I want to discuss in the present paper the matter of the internment camps for Europeans, mainly Eurasians, installed by the Indonesian Republic during the Bersiap period in the early years of its existence. I will narrow down two closely interrelated questions. My first question is if the Republican leadership intended these camps to intimidate the Eurasians and keep them as hostages in the oncoming struggle with the Dutch, or whether they were meant to protect them from insurgencies by rebelling youths. The second question is, how and by who have these questions already been addressed and, if there are any marked differences, how come? I will start with a short survey of events that led to the setup of these camps in the second half of 1945. The proclamation of a new state calling itself the Republic of Indonesia – broadcast on August 17, 1945 by Sukarno and Hatta – took the Dutch by surprise. They had been the dominant power in the archipelago for more than three hundred years – and wanted to continue what they considered ‘their task’ in the Indies. However, that would prove to be no easy task. In 1941/42, they had participated in the war against Japan with the United States, the United Kingdom and Australia, and had made a worthwhile contribution. After the initial Allied defeats, the other Allies had managed to regain strength in order to continue the war, and bring it to a happy end. The Netherlands, however, was no longer in a position to contribute to a considerable degree. After the German invasion of the mother country in Europe in 1940 and the Japanese occupation of the Netherlands East Indies in 1942, they lacked the means to do so. After the German defeat on 5 May 1945, they had to rebuild military power from scratch. At that time they were very much the junior partner in a war that was running to its end in Asia as well. For the Dutch, the proclamation of the new Indonesian Republic would prove to be a serious threat. In Potsdam (15-17 July 1945), with the defeat of Japan in sight, the Allies agreed that the responsibility for taking over all Southeast Asia, excepting the Philippines, should be entrusted to Lord Louis Mountbatten’s South East Asia Command (SEAC). [ii] He therefore had to accept the Japanese surrender, rehabilitate the Allied Prisoners of War and Internees (APWI) and restore law and order in Indo-China, Siam, Malaya, Burma and the Netherlands East Indies. As far as the Dutch were concerned, the limited forces available to them operated within the SEAC organization. Meanwhile, Dutch civilians balanced on the edge of starvation in concentration camps, and Prisoners of War (POW) of the Royal Netherlands Indies Army (KNIL) were awaiting evacuation in camps outside the island of Java. Inside the Indonesian archipelago, about 180,000 Eurasians (Dutch nationals of mixed race) were living together with the Indonesians in appalling conditions in impoverished cities and in the countryside. Most Eurasian families had not been interned, as a consequence of the Japanese policy on Java, which considered them to be a distinct group of people. Being the offspring of Asians and Europeans, they were to co-operate with the administration set up by the Japanese 16th army and would be treated like the indigenous inhabitants. [iii] However, this policy failed. The Eurasians were proud of their Dutch nationality and resented being placed at the same level as the native population. The Indonesians themselves had no sympathetic feelings towards the Eurasians, who they felt had been sheltered under the colonial umbrella. At the same time, nationalist and anti-Western feelings increasingly found their way to the surface, incited by the Japanese. These contradictions were the uncertain position of the Eurasians at the time the Indonesian revolution started. Since Mountbatten was initially unaware of the real situation in the Indies and preferred to deploy his troops elsewhere, it was more than a month after the Japanese capitulation before the first British-Indian troops were ordered to move from occupation duties in Malaya to Java. This delay resulted in a power vacuum and an atmosphere of tremendous enthusiasm among the Indonesian youth. Many ‘pemuda’ joined the newly organized People’s Security Organization (Badan Keamanan Rakjat – BKR) or established numerous irregular bands grouped around older nationalists, religious teachers (kiyai) or gangsters (jago). Anxious to contribute to ‘merdeka’ (freedom) these youngsters raised red and white flags everywhere, organized mass-meetings and demonstrations, and began to look for arms to defend their ‘merdeka’ against the returning colonial power. Until then the atmosphere had been rather quiet, but by the end of September 1945, the situation rapidly deteriorated. Chaos, anarchy, lawlessness and violence predominated. The Allied command watched the revolutionary uprising with concern. The last thing it wanted was to get involved in a colonial war. Mountbatten decided to alter his policy drastically. Instead of re-occupying the whole of the Netherlands East Indies, he switched to a key-area strategy. For Java, this initially meant the re-occupation of two major coastal cities: the capital Batavia (Jakarta) and the marine-base Surabaya. On second thought, the re-occupation was extended to Semarang and Bandung, where many APWI were concentrated. Besides, Mountbatten was determined to persuade the Dutch to negotiate with the Indonesians in order to reach an agreement. It was not left at that. Soon after the writing of this letter, that is to say between 11 and 19 October 1945, all over Java and Madura, the internment was set in motion. Though there is no proof that it happened upon the orders of Soekarno himself, the fact that it was initiated by the newly appointed local authorities (KNI-Komite Nasional Indonesia) indicates some central order. The KNI’s ordered the local BKR, pemuda-groups or police to pick up the people from their homes or require them to assemble at certain places under the pretext of a registration or meeting. This strongly suggests that the republican leaders had more influence over their following than is commonly assumed. It also proves that one should be careful calling all the Pemuda violent, since many Pemuda-groups brought the Dutch nationals, in a more or less friendly but sometimes frightening way, safely to their camps. The situation however differed from place to place. On several occasions, men lost their lives when large-scale slaughter parties took place such as happened in the Simpang club and Kalisosok prison in Surabaya and Pledang prison in Bogor. When the internments started, initially only men and older boys were taken into custody in most places, while women and children were left behind for the time being. So one has to wonder if the idea of protection was the one and only motive. From the second half of September on, skirmishes had increasingly taken place between groups of Eurasian boys and men and the Indonesian Pemuda, especially in the larger cities like Batavia and Surabaya. The spirit of the Bersiap was one of attack upon an ill-defined enemy, and these Eurasian boys and men were the first at hand. It has to be added that the latter, too, often acted in a provocative and aggressive way, and that in some places a regrouping of former KNIL-units took place. By isolating these men, they were out of reach and general unrest could be prevented. Put in these terms, internment was a measure of a military or a policing nature. However, with the Bersiap gaining strength, Dutch and Eurasians, as well as Amboinese and Chinese people, were increasingly under attack. Moreover, the large majority of the Eurasian population lived scattered throughout the country. They formed relatively small, unarmed groups, surrounded on all sides by Indonesians. It has to be noted that in a few residencies where violence ran high, like Ceribon, Pekalongan, Buitenzorg and Banyumas, women and children were interned at once, some in the same camp as the men, and some in different locations. In all these cases, internment clearly served their protection. According to several interviews, questionnaires and documents, it seems that in most residencies the women were relatively safe. The way they were treated differed from place to place, but the sometimes unfriendly or aggressive attitude of the population didn’t necessarily mean their lives were in danger. In places such as Malang, Solo, Yogyakarta and few places near Bandung in West-Java, they were even allowed to bring clothes, mattresses, food and medicines to their imprisoned male relatives. Only in the months November and December 1945, when heavy sustained fighting occurred between the British and Indonesians in Surabaya and Central-Java – which had the potential to incite the Indonesian masses to violence – the majority of women and children were concentrated in republican camps. It is conceivable that the Indonesian leaders decided to intern them as a measure of prevention. From this limited survey of the internments during the Bersiap one may conclude that motives from the Republican side may vary, but that the element of protection decidedly got the upper hand as time went on. Central guidance may be induced from the scale of the operation and the way it was executed. Within three months, about 46,000 people, most Eurasians and about 4,500 ex-Japanese Prisoners of War and Internees, the so-called APWI, were put up in whatever shelter was available. [vi] They often lived squeezed together in schools, prisons, warehouses, hotels, convents, mansions, bungalows, sugar factories or barracks. Scattered all over Java (and Madura) were approximately 400 camps, with the number of internees ranging from ten to seven thousand (Malang-camp De Wijk). [vii] However, even when carried out with the best of reasons, for those concerned the internment more often than not was forced upon them against their will, which contributed to a negative opinion. The inhabitants more often than not considered them places where they were kept hostage by the Republic. The Indonesians, from their part, called them ‘kamp-kamp perlindungan’ (protection camps), and for good reasons. Some internees as well told me that they were convinced that they were being protected and had chosen to enter the camps voluntarily. In fact, according to their commitments under the Potsdam Agreement, the British military authorities were mainly interested in the APWI that had been interned by Japan. For the British, these were the ‘genuine’ APWI, but they declared they were willing to receive all the newly interned Eurasians from republican camps wanting to evacuate to the Allied-occupied cities as well. They put pressure on the Indonesians, pointing out the negative effects on world opinion if they refused to cooperate, but they need not have done so. For the Indonesians, it was an interesting proposal. First of all, their political and military leaders were well aware that it offered them an opportunity to show the world that they were not the ‘unorganized extremists’ the Dutch continuously called them. By restoring order after World War II, they hoped to gain international support for their independence. Second, since the newly established Indonesian republican army (TKR – Tentara Keamanam Rakjat – People’s Security Army) would execute both tasks, it implied recognition of this army with the additional advantage that the British would supply them with much needed armaments and means of transport. Third, the Indonesian leaders undoubtedly enjoyed the fact that the British excluded the Dutch from these negotiations, which greatly added to Indonesia’s international status. They strongly insisted on keeping the Dutch out , instead preferring to make the arrangements concerning visiting and supplying camps with the International Red Cross instead of the Netherlands Indies Red Cross. Fourth, the sooner the Japanese and Allied internees could return to their rightful places, the sooner the British troops would leave the island. However, the Indonesian leaders realized that they faced great risks due to internal problems. In the hinterland, the situation was unstable. The army, which in principle stood behind the government, had just been established. Laskars (local desa militia) went their own way, and army-units and Laskars were fighting each other. Under these unsteady circumstances, the army had to properly uphold the agreement . In November and December 1945, Sukarno and the Sjahrir Cabinet made strong efforts to calm down the mass uprisings that took place in Surabaya and Central Java. Though not without effect, an uneasy calm could only be effectuated after heavy fighting by the British troops, at critical moments assisted by Japanese units, in Semarang and Surabaya. From March 1946 onwards, things changed. The Dutch troops entered Java on a larger scale and gradually took over from the British. The practical aspects were discussed in a series of talks between the British, Indonesians and the Dutch. By then it was obvious that the Dutch no longer could be kept at the sideline. At the same time, negotiations started up between the Sjahrir Cabinet and the NEI authorities under leadership of the lt-governor general Van Mook. A marking point was the Batavia Concept of 25 March 1946, which contained a first sketch for a political solution of the conflict. Although the discussion about evacuation and political affairs went through different channels, they were interrelated nevertheless. A few weeks afterwards, on 3 April 1946, the Republican minister of Defense Amir Sjarifuddin announced in a press conference the withdrawal of Japanese and internees from the interior under allied British supervision. By then, the matter had been thoroughly discussed between the Dutch and the British mediator Clark Kerr. The evacuation would be carried out by the TRI. It would get technical support, transport facilities and the armament for two battalions from the Allies to protect the internees during their voyage. The whole operation would take two or three months to complete. POPDA took no half measures. The strategically situated city of Solo in Central Java was chosen as its headquarters (POPDA I). Malang, as POPDA II, became the center for assembling internees from East Java, while the coastal cities of Tegal, Central Java (POPDA III) and Probolinggo, East Java (POPDA IV) were suitable for shipping out the Japanese army. Because the Indonesians lacked sufficient locomotives and carriages to transport both Japanese and internees at the same time, the evacuation of the internees slowed down soon. A situation made worse by a serious shortage of coal. The British found this system of transport too slow and at a meeting in Solo on May 10, 1946 they proposed the use of aircraft. The 31st Squadron of the Royal Air Force (RAF) flew six days a week from Batavia to the airfield of Panasan (near Solo), the destination for POPDA transported evacuees from different residencies. Between May 20 and July 24, 1946 the RAF succeeded in transporting 19,490 evacuees either to Batavia or to Semarang, using four, later six Dakota’s. On July 25th, the evacuations suddenly came to a standstill. It appeared that a number of incidents had irritated the Indonesians. A POPDA-boat transporting evacuees from Madura to Probolinggo, was detained by a Dutch destroyer in the Straits of Madura and forced to hand over the evacuees. Another Dutch destroyer stopped POPDA-chief Major General Abdoelkadir at sea for twelve hours, on his way to inspect the republican camps in Madura. However, the Indonesian tolerance ended when the Dutch bombed the city of Banyuwangi (East-Java) and a ferry in the Straits of Madura. In a speech, delivered in Solo on July 27th, Sukarno announced that he had ordered to stop the evacuations. At the same time, he promised Republican leaders and the Allied Headquarters would do their utmost to come to a solution. On 3 September 1946, the representatives of the parties involved met in Cirebon and on September 12, it seemed that the deadlock had been solved. By the end of the month, evacuations started again. This time, however, the use of aircraft had not been permitted by the Indonesians, which slowed down the whole process considerably. In the following eight months another 16,000 Eurasian internees were evacuated from the interior, together with some 10,000 Chinese. It may be noted that these were the months in which the Dutch-Republican negotiations on the Linggadjati Agreement and its aftermath took place. Evacuation-matters were discussed in a special Dutch-Indonesian subcommittee on Evacuation and Contact. By the end of May 1947, POPDA closed its activities, – as it turned out – a few weeks before the first military clash. The organisation had successfully completed the evacuation, transporting about 40,000 Japanese and 37,000 Dutch/Eurasian internees in turbulent times, thanks to the determination of many people involved. In the period 1984-1994 I worked for the Dutch Government in the field of recognition and support for civilian victims of war in the former Netherlands East Indies – including the Bersiap time – and as such I was well aware that many ex-internees from the republican camps still considered themselves hostages. They firmly opposed the word ‘protection camps’ and often used the word ‘hostages’. In October 2007, I published my dissertation on this subject. My book was announced in a newspaper with the headline, ‘Sukarno protected Dutch nationals’. This was a shock for many ex-internees. Being protected by Sukarno was not what many of them wanted to hear and consequently I received a lot of mail, suggesting revisions to my research in order to make it more “scientific”. Furthermore I was accused of having a one-sided view which was called ‘een beetje dom’ (a bit stupid). Others told me that hunger and humiliation in their camps had nothing to do with protection by Sukarno and so on. I was also informed that this headline had led to many angry telephone calls to ‘Indische’ organizations, representing the repatriates from the Netherlands Indies in the Netherlands. 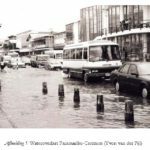 However, headlines do not tell the whole story, and in my dissertation I made it clear that the matter of the evacuations was more complicated than mere transportation. Indeed, as emphasized in this article, protection certainly was the central element in them. In the context of the theme ‘blind spots and preoccupation’, the first question is why until this day ex-internees deny that the camps were intended for their own protection. Some of the answers have already been given in the preceding pages. Most of them did not enter internment by their free will, and the memories they have of the time they spent in the camps do not correspond with protection. They remember the way they were taken and sometimes humiliated, locked up in small cells or poor shelter and the lack of clothing and medicine and especially the poor food rations. It took place in an atmosphere of enmity towards the Republic. Since ex-internees do not associate their lives in the camps with protection, most of them will not accept the idea that Sukarno – in order to prevent more murder and bloodshed – organized isolation of this vulnerable group for their own safety. They may have good reasons to consider themselves victims of the Bersiap period, but tend to forget that things might have been worse without the protection offered by the camps. The second question is internees’ own story of being kept hostage. My research, based on extensive interviewing, and search in the archives, reveals that there are no indications of the deliberate use of internees as hostages, either at the time of internment or during the evacuations. Both for political and humanitarian reasons, the Republican rulers had ample reasons to do what they did. However, the installation of the camps in 1945 and the POPDA operation of 1946/47 did not take place in a vacuum but in a political context, and this necessarily influenced the way the operation was carried out. Moreover, the steering power of the Republican government was under attack, especially so in 1945. Both factors tended to disturb the process. After the initial discussions with the British in December 1945 for instance, it cost Sjarifoeddin a lot of time to get the first batches of internees actually on the move. It was no easy task to convince the largest irregular pemuda-groups to give their full cooperation. With this advice, we touch upon the subject of propaganda and public opinion, which necessarily has its effects on history writing as well. After all, the evacuation issue was only one part of a much larger conflict, in which serious issues were involved at both sides. It was serious enough to wage a war for it, which implied propaganda as well. It was in this context that the terms ‘internment’ and ‘hostages’ came in use. For the Dutch authorities, the sentiment of Dutch internees, held captive by the Republic as long as two years after the end of the second world war, certainly was too convincing an argument not to use. This is normal behaviour in cases of political conflict and war. The Dutch were fighting with the republic, and in those circumstances, it did not make sense to praise the enemy. They continued to do so up to 1949 in order to achieve two goals. 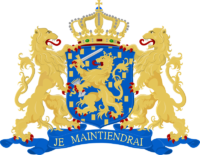 Their first aim was to put the Republic in a bad light internationally; the second aim was to influence public opinion in the Netherlands. Sending soldiers to the Netherlands East Indies was widely opposed and with propaganda like: ‘Save the hostages in Indonesian hands’, or, ‘Still thousands of hostages under the heel of the Indonesians,’ the authorities tried to manipulate Dutch public opinion. However, there was a third and largely unintended side effect. The continuous use of the word ‘hostages’ in the media convinced the ex-internees , that they were indeed hostages. That is how they entered history. Moreover, in the following decades, historians adopted the idea of hostages from the archives, thereby ‘confirming’ the image of internees as victims of the republic, and giving rise to the blind spot, as far as Indonesian intentions were concerned. I will finish this article with an example of disavowal on Indonesian side; not entirely representative, but nonetheless remarkable. I sent 18 books to my Indonesian host. After some time went by I phoned him to ask his opinion about my book. I could immediately hear from his voice that something was wrong and after some urging, he told me that he disagreed – not with the contents – but with the subtitle, ‘A method in the madness’ – or as we say in Dutch – ‘Orde in de chaos’, because he said, there was no madness. I can probably explain to some former ex-internees that Sukarno was trying to protect them, but I could never explain that there was order in the madness during the Bersiap period. [i] The following is a revised edition of the original paper. 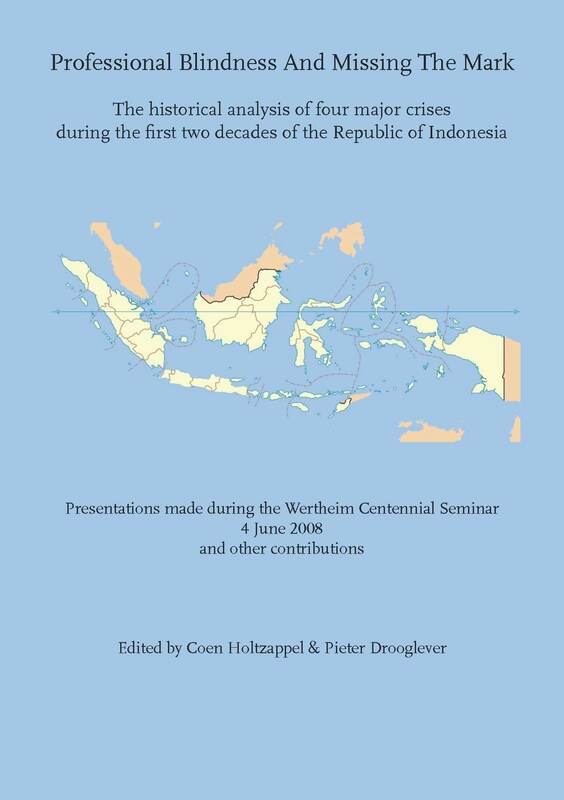 I wish to thank Pieter Drooglever for his sound advice, which resulted in a better situating of Popda within the wider context of the British-Dutch-Indonesian relations. [ii] Until Potsdam only Sumatra had been part of SEAC. The other Netherlands East Indies islands had been the responsibility of SWPA (South West Pacific Command) under the command of General MacArthur. The sudden change caused many problems for Mountbatten, since he lacked troops, ships and materials. [iii] E.Touwen-Bouwsma, Japanese minority policy: The Eurasians on Java and the dilemma of ethnic loyalty. Unpublished paper presented at the Workshop on ‘The legacy of Dutch and Japanese rule in Indonesia: Myths and Realities’. Amsterdam/Leiden, 7-10 November 1994, p. 2. [iv] Interviews with Indonesian veterans, among others: Army: Purbo S. Suwondo. Oetarjo, G.P.H. Djatikoesoemo, Imam Soepomo, Iwan Stamboel, A. Kosasih. Navy: Rachmat Sumengar, Haryono Nimpuno. Police: Hoegeng Imam Santosa, Moehammad Jasin, Mohammed Subekti. [v] Despite Mountbatten’s order to stay in their ex-Japanese concentration camps, many people left for their former houses in the country (republican area). Next, they were interned anew; this time by the Indonesians. [vi] During my research, I found approximately 400 camps, but they did not all exist at the same time. The number of camps constantly fluctuated, because people were transported to other locations, or camps were split up, joined or closed down because of the evacuation. Sometimes the internees had to make room for Japanese troops on their way home or for Indonesian troops. [vii] NIB III, no 84 en no 123. Nationaal Archief, archief Algemene Secretarie, inv. no 2808, Recapitulatie evacuatie binnenland, 13 maart 1947. [viii] NIB III, no 349; IV no 17. [ix] Centraal Archieven Depôt van het Ministerie van Defensie. (CAD), archief NEFIS 1946. FY5/27345, 16-04-1946, inv.nr. 29, AA11. [x] CAD, archief NEFIS 1946. FY5/28707, 26-04-1946, inv.nr. 29, AA11. [xi] CAD, archief NEFIS 1946. FY5/28707, 26-04-1946, inv.nr. 29, AA11. [xii] NIB IX, no 193. Mary C. van Delden, De republikeinse kampen in Nederlands-Indië, oktober 1945 – mei 1949. Orde in de Chaos? (dissertatie Nijmegen 2007).